If you were stranded on a recently discovered planet called Kepler-16b and looked up during the day, you’d see an unusual light show: two glowing orbs making their way across the sky. Somewhere deep in the Universe, scientists have found for the first time a planet orbiting two stars (binary stars is what we call them). If you were on that planet, there would be two sunsets and two sunrises, one for each star the planet orbits. And those two stars also orbit each other, which means they’d appear to change position in the sky. You’d get a different sunset every day! 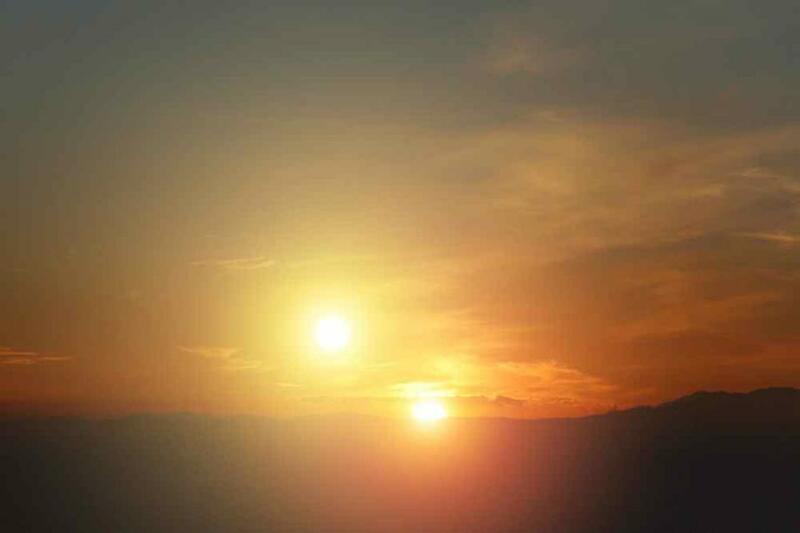 The two stars are locked together by gravity in a binary, or double, star system. Scientists say “Now that we know how to find them, what they look like, and the things to look for, we’re probably going to find a few more,” Since then, scientists have discovered hundreds, possibly thousands, of planets outside our solar system.